The HP ENVY Laptop – 15t takes pride in belonging to the HP ENVY family. When it comes to media-related activities, users won’t go wrong in choosing this model. The new ENVY Laptop is deemed as the “new entertainment center”. From multimedia to gaming, this HP model will provide what’s demanded of it; from rich-textured audio to decent graphics in a 15.6″ (diagonal) HD display. Think of the HP ENVY 15.6″ as the sports car model of laptops. Its sleek aluminum lid and metal finish make it an aesthetically pleasing device to visually feast on.This HP ENVY model may not be the lightest laptop there is, but it’s not a heavy weight either. Starting at 5.23 lbs, the HP ENVY Laptop – 15t is still portable. Nevertheless, expect that much of its use will be home based. Like most HP models, the ENVY 15.6″ features a full size island-style keyboard in silver matte coating. HP also made sure to provide adequate spacing between the Chiclet-shaped keys and include a full numeric keypad for computing and gaming shortcuts- among all other purposes. A 15.6″ laptop may be a deterrent to most consumers preferring a lighter and smaller sized notebook. However, the HP ENVY takes advantage of its size by including a wide and sufficiently-spaced palm rest for prolonged typing usage. The same goes for the 3.7″x2.1″ highly-responsive HP Imagepad. The HP ENVY Laptop – 15t is a multimedia powerhouse. Armed with the 6th generation Intel Core i7, 16GB of RAM, and an NVIDIA GeForce GTX 950M 4GB discrete graphics, gaming shouldn’t be an issue. This laptop is definitely capable of running games under moderate to high settings. HP’s Bang & Olufsen provides users with audio customization freedom while offering crisp, studio-quality audio. Included with its many features is a HD display. Nothing gets more HD than watching Blu-Ray videos on the ENVY. The HP ENVY Laptop – 15t is built with an Ethernet LAN, 4 speedy USB 3.0 and HDMI ports. It also has a microphone and a headset jack. Wireless provisions include an 802.11 b, g, n WLAN. The HP ENVY Laptop – 15t is a treasure to those looking for a multimedia-intensive laptop. Despite the fact that this HP ENVY model comes with the positive attributes of the HP family, owning one still has some disadvantages. The following lists the 15.6″ pros and cons. 1. Full Entertainment Package. Enjoy visually engaging movies, videos and games with the HP ENVY Laptop 15.6″‘s UHD WLED 3840 x 2160px display. The Bang & Olufsen technology working in tandem with the subwoofer-included quad speakers will back this claim up with enhanced studio-sounding audio. 2. Video conferencing in low light will no longer pose a problem. The 15t is built with HP’s TrueVision HD webcam. 3. HP CoolSense. CoolSense keeps the 15t thermally efficient and comfortable to use. 4. The ENVY is also designed with the HP SimplePass. This is a new technology (exclusive to HP) that allows users to substitute their passwords with a swipe of a finger. 5. 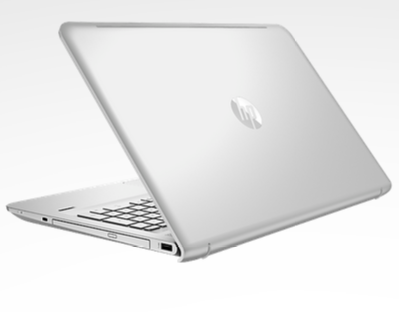 Another one of HP’s innovations included in this laptop is the HP ProtectSmart. It automatically prevents data and file damage incurred from minor bumps and physical impact. 1. Not too long (up to 7 hours) battery life. 2. This HP model may be portable but users will find themselves preferring it for home use. The HP ENVY Laptop – 15t is a laptop built for maximum entertainment. The wide screen and keyboard provides certain conveniences for users whose preference lean on full desktop functionality mixed with portability. Overall, this HP model may not cater to everyone’s laptop needs but rather to students and/or professionals who prefer enjoying multimedia and gaming all in one portable package.